Nike is the world's leading designer, marketer, and distributor of authentic athletic footwear, apparel, equipment, and accessories for a wide variety of sports and fitness activities. Nike creates products services and experiences for today's athlete. As they say at Nike, if you have a body you are an athlete. 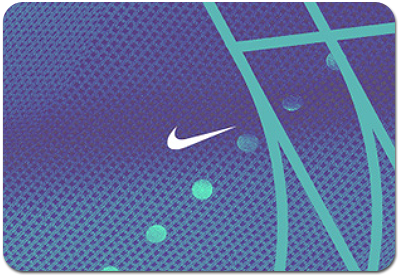 Gift cards can be redeemed for merchandise at any UK Nike store and online at Nike.com (subject to website terms and conditions). They may be exchanged for goods of a higher price than the face value of the card on payment of the difference. Gift cards cannot be exchanged for cash. Gift cards cannot be returned or refunded, except in accordance with your legal rights. Gift cards are valid for 24 months from date of last use whereby the remaining balance will be deducted. If any item purchased with a gift card is subsequently exchanged for an item of a lower price or refunded, any money owing will be added to the remaining balance on the gift card. If you do not spend the entire balance on the gift card, the remaining balance will be updated after each transaction and will remain on your gift card. Gift cards should be treated as cash. They are not cheque guarantee, credit or charge cards. Nike will not accept liability for lost, stolen or damaged cards. Nike reserves the right to refuse to accept a gift card which it deems to have been tampered with, duplicated, damaged, or which otherwise is suspected to be affected from fraud. Nike reserves the right to amend the terms and conditions of gift cards at any time without notice and to take appropriate action, including the cancellation of the card, if, in its discretion, it deems such action necessary. Full terms and conditions are available online at Nike.com/giftcards.